The Tanzania Export Processing Zone Authority (EPZA) issued certificates to six new companies that will invest in the industrial sector in special EPZA areas. About 17 million USD total will be invested in the following companies: Rift Valley Tea Ltd, Kokoa Kamili Ltd, Mambo Coffee Ltd, Afriweld Industries Ltd, Sheikh Motors Ltd and Tanzania Macenta Co Ltd. 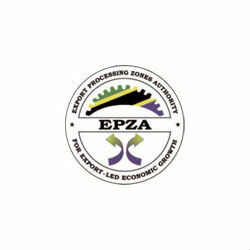 The EPZA was established in 2006 to register businesspeople who want to invest in export manufacturing in Tanzania’s Special Economic Zones (SEZ) and Export Processing Zones (EPZ). Currently there are six zones with three more under development over the next five years. Last week Prime Minister Mr. Mizengo Pinda spoke about the EPZA’s work during the opening ceremony of Africa Industrialization Day in Dar es Salaam. He remarked that the EPZA has jump-started 81 industry sector projects throughout Tanzania, which have created 27,000 direct and 80,000 indirect jobs, and he called upon local and foreign investors to consider opportunities in Tanzania’s SEZs and EPZs. For the full interview with Dr. Meru, click here.